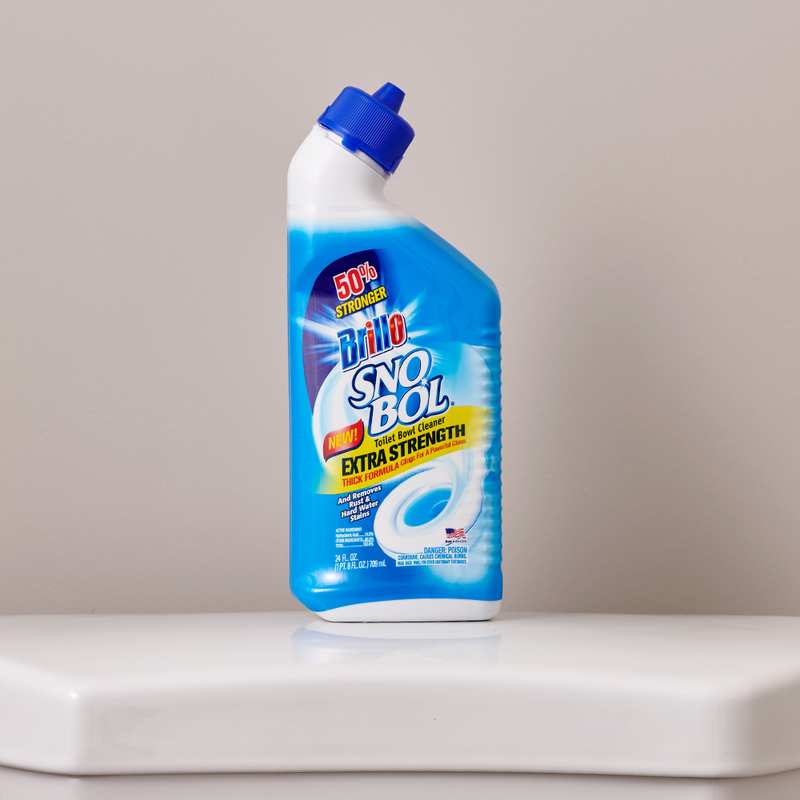 This extra-strength toilet bowl cleaner removes even the toughest hard toughest hard water stains, mineral deposits, lime scale, and rust in your toilet. The thick blue liquid formula clings to the bowl, and its 14.5% hydrochloric acid delivers a powerful clean. Regular toilet cleaners remove bacteria, but this goes above and beyond, removing rust and hard water rings with its proprietary hydrochloric acid formula. That’s why Brillo is one of the most trusted names in household cleaning. Extra strength formula uses a thick 14.5% proprietary blend of hydrochloric acid, the highest level on the market.